The Psychology Colloquium Series presents Dr. Sigal Zilcha-Mano on “When one becomes two: The trait-like state-like model of therapeutic change in psychotherapy research” on Friday, Feb. 22, at 11:50 a.m. in Porter 102. According to her ResearchGate profile, Zilcha-Mano is a licensed clinical psychologist, researcher and a lecturer. She is an associate professor of clinical psychology and the head of the psychotherapy research lab at the Department of Psychology, University of Haifa. 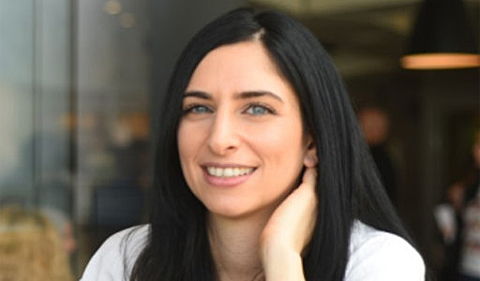 She earned a Ph.D. at Bar-Ilan University Israel and served her first post doc at Harvard University and her second post-doc as a Fulbright scholar at Adelphi University. Her research focuses on processes of therapeutic change, especially interpersonal processes. In her talk, Zilcha-Mano will propose that the effect of almost any construct in psychotherapy research can be disentangled into two distinct effects, state-like and trait-like, each playing an important role in putting together the pieces needed to understand what drives therapeutic change. Trait-like aspects are stable over time whereas state-like aspects are dynamic. The latter can be translated into effective treatment targets. To illustrate, she will use two examples of mechanisms that are often referred to as “common factors:” the therapeutic alliance and the patient’s expectancy about the likelihood of benefiting from treatment. The talk is based on recent findings from diverse populations and approaches to measuring change in psychotherapy and psychopharmacology: self-report measures, behavioral coding systems, clinical interviews, motion and acoustic parameters, hormonal measures, and brain imaging data.